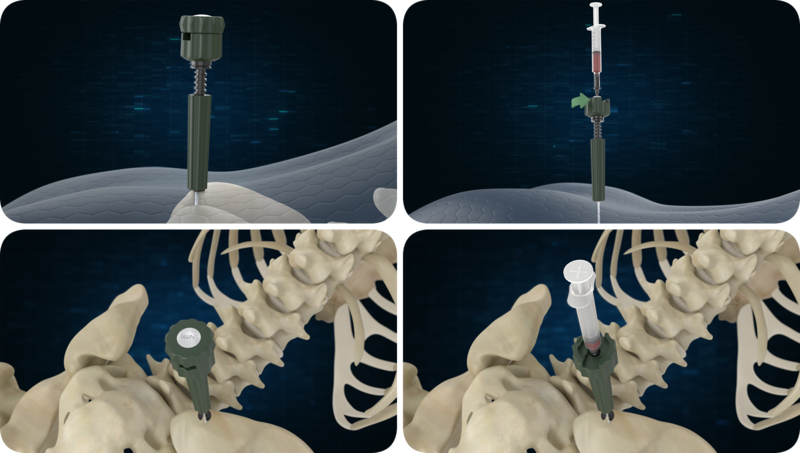 Maxx™-Cell has created a new gold standard in bone marrow aspiration therapy for various uses in orthopedics, sports medicine and pain management. Deliver the highest, most pure enriched form of bone marrow aspirate without the need for centrifugation. Maximize cell count yields while minimizing peripheral blood dilution. Stem Cells and Mesenchymal cells are now easily and effectively obtained with this breakthrough device. Produce excess peripheral blood contamination, diminishing cellular yield; thereby requiring additional maniulation steps to achieve the cellular demand necessary for most clinical indications. "Maxx™-Cell uses its technology to harvest high quality stem and progenitor cells from various levels within the marrow space, limiting peripheral blood contamination." Capture the bodies most important stem cells with Maxx-Cell's patented technology. Aspiration can be performed through percutaneous technique or exposed ilium. 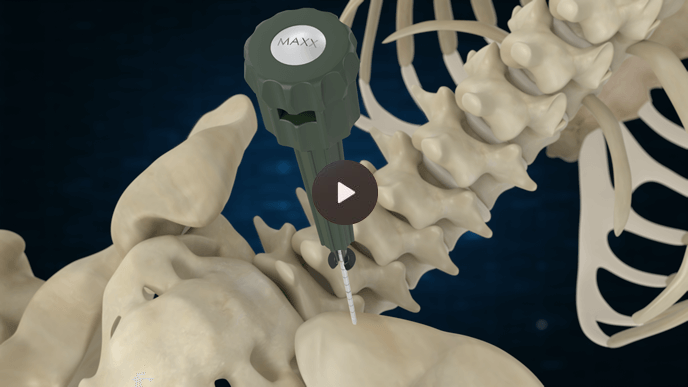 Maxx™-Cell has created a new Gold Standard in point of care cellular therapy and bone grafting by offering the most viable live cellular product in orthopedics. Maxx™-Cell obtains higher CFU's than other "Live Cellular Premium DBM's"
Processed Allograft Cells Do Not Function Due to Damage Caused by Processing and Preservation. 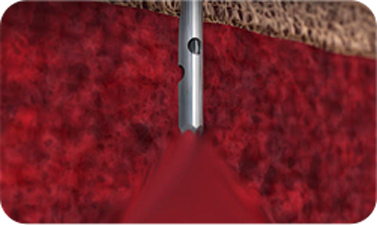 Maxx™-Cell offers a unique strategy for bone grafting options in Orthopedics. Obtain the highest level of stem cells, live and point of care from patients during surgery and combine with local allograft, cancellous chips or DBM. In seconds you have created the safest, most reliable and cost efficient premium cellular product possible. 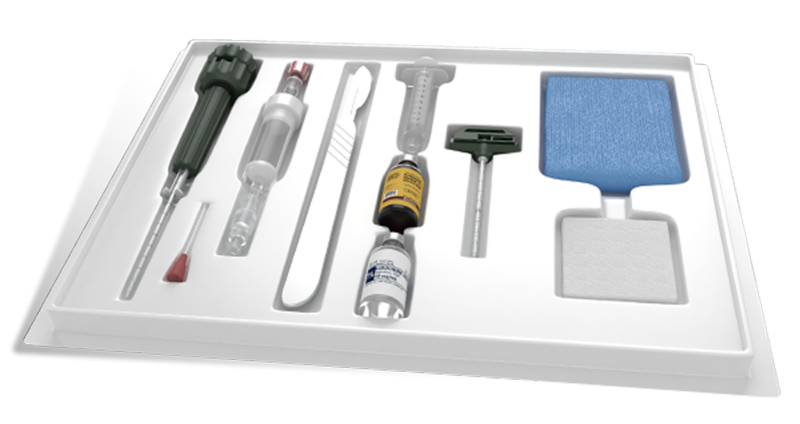 Maxx™-Cell can be used in a wide array of clinical settings, in-patient OR and outpatient procedures. Maxx™-Cell now offers a wide variety of kit components to help enhance the extraction and delivery of stem cells in any clinical setting. BONE MARROW ASPIRATE SYSTEMS versus "MAXX™-CELL"
Reduce the cost of utilizing high priced biologics. Maxx™-Cell delivers better regenerative solutions at reduced cost compared to industry leading solutions. Create the highest live cellular product, point of care in any clinical setting. Centrifugation systems typically require 20 minutes or more of spin time during the surgical procedure, not to mention the additional support time needed for preparation and cleanup of equipment. No centrifuge needed. Centrifugation systems require passing the BMA off the sterile field for processing and back on for implantation. Maxx™-Cell eliminates the additional steps where infection concerns must be managed. Centrifugation systems typically discard 80% of the aspirate due to the high levels of peripheral blood. Worse, significant numbers of the desired cells (approx. 40%) are discarded because as these cells increase in density prior to division, they are processed into the undesired red cell centrifuge component and thus discarded, substantially limiting regenerative potential of the resulting sample.